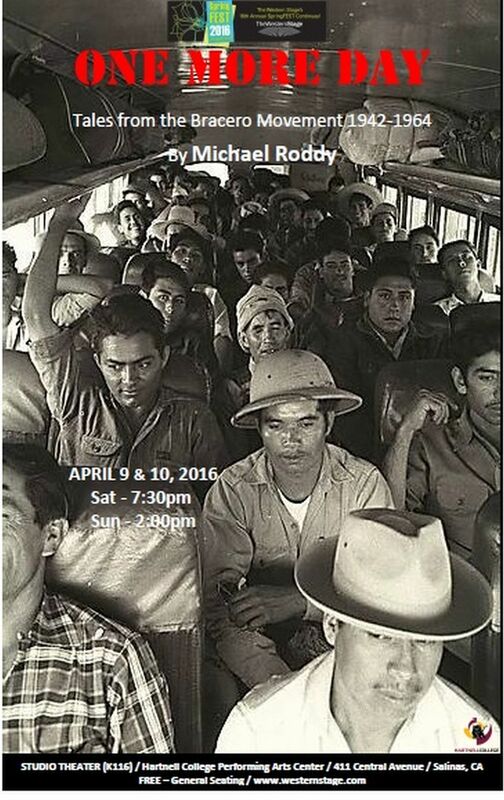 A new script by local playwright Michael Roddy about the Bracero Program and how the Braceros contributed to and changed Monterey County. Sat., April 9 @ 7:30 p.m. Sun., April 10 @ 2 p.m. Studio Theater: general seating. Donations at door. Hartnell College students free with ASB/ID card.